The Uncommon Solids Wool Crew sock may be one of Stance's running basics, but basically it's a lot more than that. Strategically placed mesh vents enhance ventilation and a 200 needle count stitching pairs with a reinforced heel and toe for durability. An articulated foot bed increases padding for a cushioned feel throughout, and also aids in airflow and moisture-wicking. 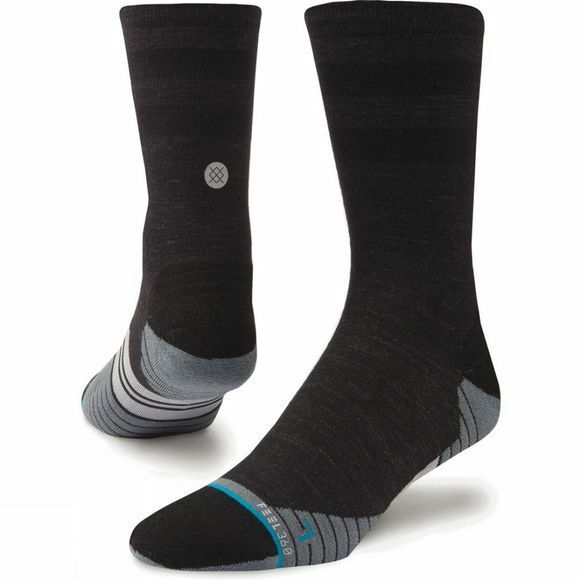 The Uncommon Solids Wool Crew features anatomically correct designs for both feet to keep you supported and comfortable.